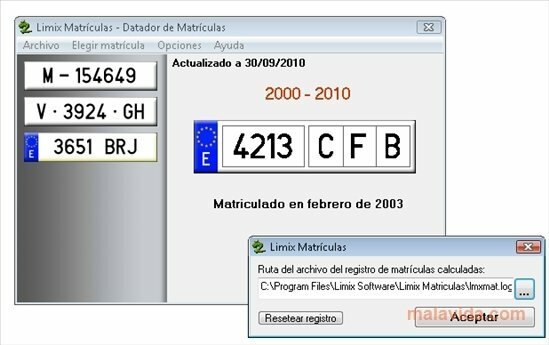 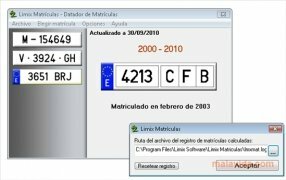 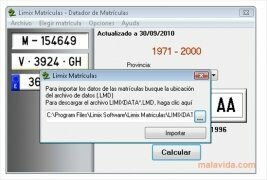 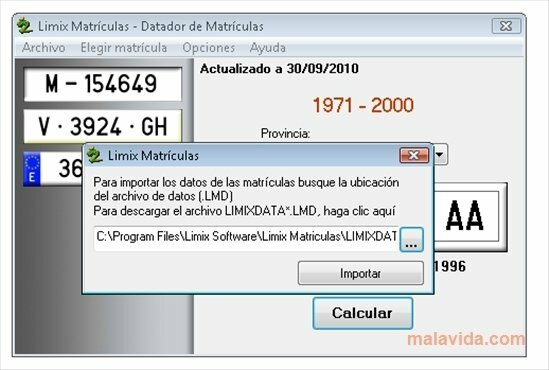 Limix Matrículas is a program with which you will be able to discover the registration date of any Spanish car, taking the number plates as a reference and accessing a database on the Internet. 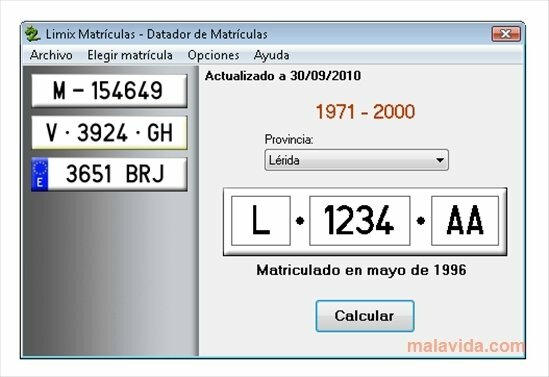 The program allows you to input number plates with the 1900-1971 format (six numbers and a letter), the 1971-2000 format (initials of the province in which the vehicle has been registered, four numbers and two letters) or the current format (four numbers and three letters). 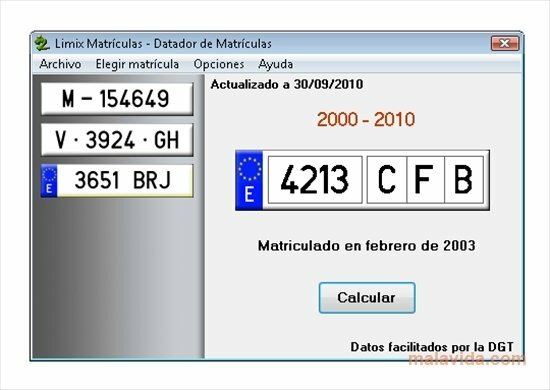 The interface has been well designed and is very simple, making it very easy-to-use at the same time that it is appealing to the user thanks to explanatory graphics, that perfectly represent the three kinds of number plates that have existed since the first cars were sold in Spain. 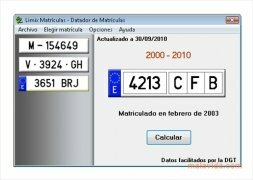 Obviously, it is a tool that has been developed to be used by those people that are thinking of buying a second hand car and want to know when the car was registered, to be able to know how old it is in just a few seconds. 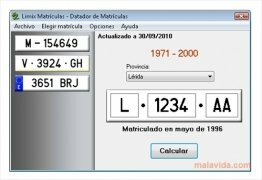 Download Limix Matrículas and discover the ideal way to find out when a Spanish car was registered.